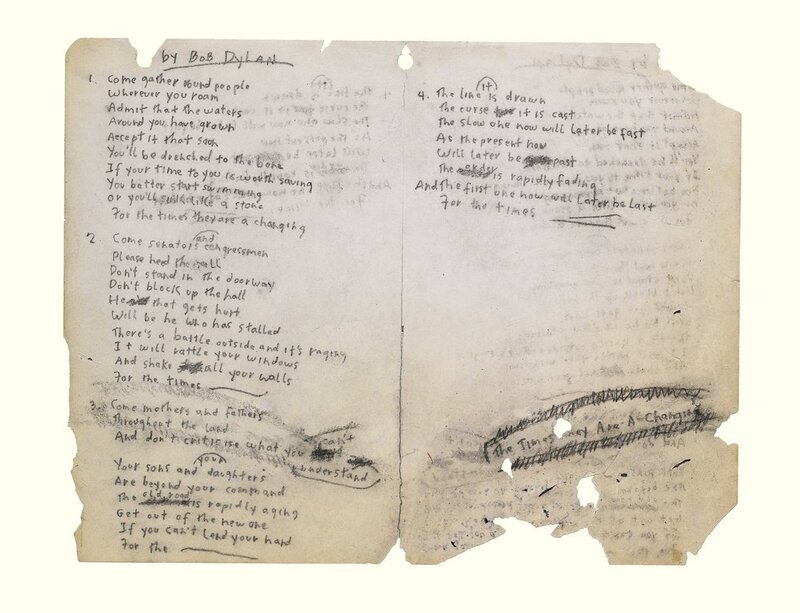 Sotheby’s is auctioning off Dylan’s “Times They Are-a-Changin’” lyrics on December 10th. Expected to fetch around 200k-300k. More info at NYT. 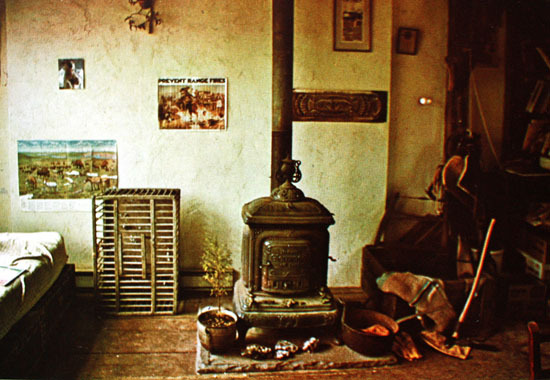 This 1986 film examines the traditional Native American craft of split ash basketmaking as a means of economic and cultural survival for Aroostook Micmac Indians of northern Maine. This documentary of rural off-reservation Indian artisans aims to break down stereotypical images. Basketmakers are filmed at their craft in their homes, at work on local potato farms and at business meetings of the Basket Bank, a cooperative formed by the Aroostook Micmac Council. 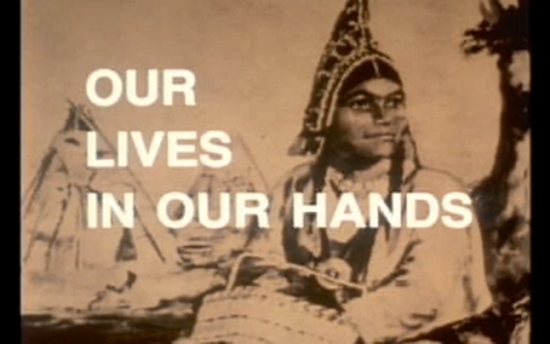 First person commentaries are augmented by authentic 17th century Micmac music. Stehekin is a small unincorporated community, settled just south of North Cascades National Park in northern Washington state. The community today boasts 75 permanent residents along with a one room, log cabin schoolhouse that was in use up until 1988. It now stands on the NPS’ National Register of Historical Places. 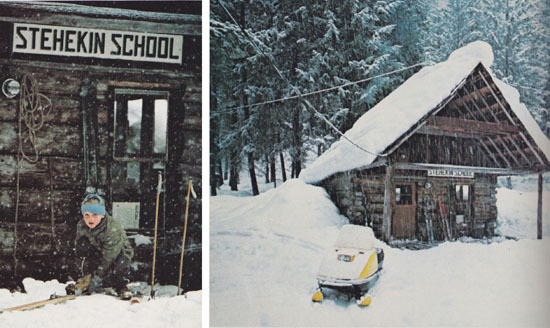 Pictured above is the schoolhouse and a student beginning his trek home, from the National Geographic book American Mountain People (published in 1973). It is noted in the margins that students would ski up to 5 miles into the surrounding mountains to and from school each day. Yes please. Some of you may already be hip to this, but the New Jersey camping supplier Campmor (still) puts out a fully illustrated, black and white catalog printed on newsprint. 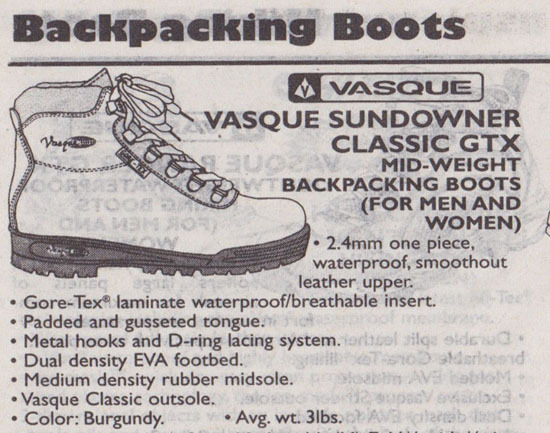 This thing makes everything look like the stuff we wish we could still buy from the ads in the margins of a 30 year old Backpacker magazine. I try to get back to Boulder (CU is my alma mater) as many times as I can each year, and I usually manage a trip in the winter and one in the summer. This year, I’m spending Thanksgiving there, so if any of you are going to be around those parts this week, hoot and holler. I’ll see you again, real real soon. Enjoy the days off from work. 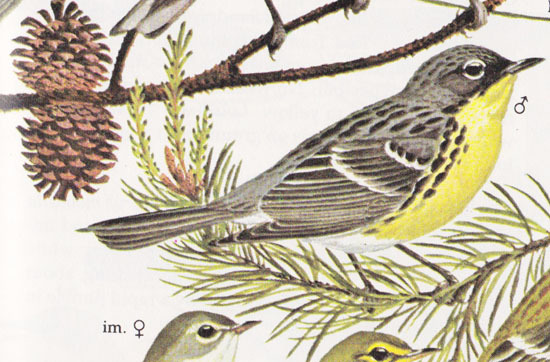 The Kirtland’s warbler (Dendroica kirtlandii) is one of the rarest warblers in the wood warbler family. The bird’s only known nesting places are in small spots of the northern lower peninsula and upper peninsula of Michigan, Wisconsin, and Ontario. It wasn’t until 1996 that they found nests anywhere other than 60 miles from Oscoda County in rural Northern Michigan (and very few still). Kirtland’s warblers nest only in the low, ground level branches of young jack pine trees, between 5 and 15 feet tall. Once the trees mature to above this height, the lower branches die, along with their sheltered nesting spots. It’s ironic that the embrace of Smokey’s “Only You” initiative in fire prevention may lend to the eventual end of the Kirtland’s warbler without proper management. No fire means no natural rotation of trees, no new young jack pines. It’s always a real good time to wade through Folkstreams, and last night, while eating spinach pizza and packing for a trip to Colorado, I watched BUCK SEASON AT BEAR MEADOW, a 1984 documentary about a camp in Northern Appalachia where the men hunt the “traditional” way, driving the deer, drinking loads of whiskey and beer, telling jokes and laughing without many teeth. Just in time for eating turkey. Enjoy the preview above and watch it in full here. For two years from 1980 to 1982, Don Starkell and his teenage sons Jeff and Dana paddled a hand-crafted, 21 foot fiberglass canoe from Winnipeg, Canada to Belem, Brazil, completely self-supported. Account of the 12,181 mile journey was compressed from thousands of pages of Starkell’s salt-stained, smeared, loose leaf diary entries into a book, Paddle to the Amazon. 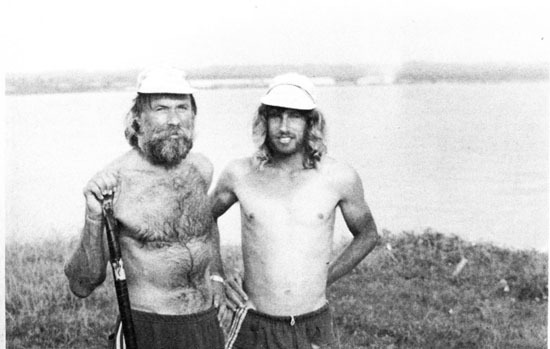 Starkell and his son Dana both hold the Guinness World Record for having completed the “longest canoe journey ever” (Jeff dropped out in Mexico). The group endured modern pirates and starvation, dodging bullets and drug cartels along the gulf coast from Mexico, eventually along and through South America. Almost ten years later, Starkell lost the tops of all his fingers and five of his toes in attempts to trace the Northwest Passage by kayak. After three years, and nearly 3,000 miles, the trip was cut short by just 30 miles due to frostbite.